Since there is a market for printer ink refills, plenty of third-party suppliers have spring up to compete with the OEMs’ usually extremely high price point for inks. One way for printer manufacturers to combat this dip into their profits is to program their printers not to accept third-party cartridges. Of course, the restriction of non-OEM ink alternatives has to be disclosed to the consumer before purchase. However, what is to prevent the manufacturer from issuing a firmware update down the line that does this? The answer to that is the law and consumer watchdog groups like the Electronic Frontier Foundation (EFF). A week ago the EFF sent a letter to the Texas Attorney General Office urging it to investigate Epson for just such a practice. 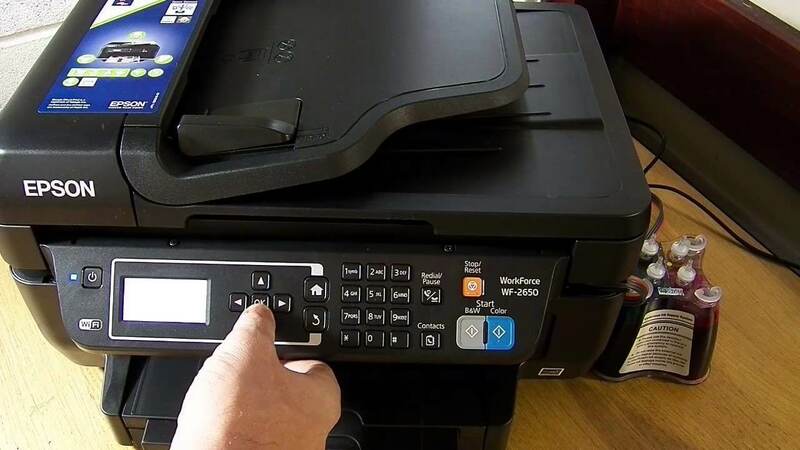 According to the EFF, it has received numerous complaints that a firmware update to some models of Epson printers has disabled the use of third-party print cartridges without notifying users of the change. The EFF believes Epson’s conduct in this matter is a violation of the Deceptive Trade Practices-Consumer Protection Act, sections 17.46(a), 17.46(b)(13), and 17.46(b)(24). These sections prohibit companies from “knowingly making false or misleading statements of fact concerning the need for parts, replacement, or repair service.” They also forbid OEMs from not disclosing information with the intent of inducing a purchase. "Epson’s reported practice of using firmware updates to prevent the use of third-party ink options is potentially misleading, anticompetitive, and dangerous." Many of the printers affected worked fine with third-party ink or refilled OEM cartridges before the updates. The EFF insists that under Texas state law Epson should have informed consumers in its packaging that it may choose to restrict competing refill brands in the future. Failing that the company should have at least told existing owners of the change before rolling out the firmware. The watchdog mentions that informing consumers after the purchase is also not ideal as it may persuade users to avoid firmware upgrades. Since many of these patches address security exploits, ignoring them could compromise computers and even entire networks connected to the vulnerable printer. Epson is not the only company to have done such a thing. HP used a firmware update in 2016 to block all but its own cartridges. After barking from the EFF, HP apologized and issued a patch to fix the problem. However, it turned around the next year and did the same thing under the guise of a "security feature." That time HP didn't apologize (because it wasn't intentional) but did issue a second version of the firmware without the security feature. Epson could not be reached for comment. I've been in the photocopier business for over 35 years. YEP, it's a ripoff. In the dry process xerography, typically it uses two components. Carrier & toner. Carrier, is microscopic little iron "bb's" (if you looked under a microscope), that mix with the carbon toner, which then is called developer. This developer mix, is passed onto a magnetic roller called a developer roller. Inside are 2-3 long magnets with the poles set in such a way, that when the developer passes, it will fan out, at the contact point of the drum. The voltage potential difference between the electrostatic charge on the drum, versus the bias voltage on the developer will pull the toner, from the carrier to the drum to form an image. Now, I said all of that to make my point. In our color machines, they use four colors. Cyan, Magenta, Yellow, Black. Since I'm a service manager, I have access to all the prices of everything in these machines. If you remove the toner, from the CARRIER, the carrier for ALL four colors looks exactly the same. It's the SAME, and has to be, because the drums for each of the four colors, work in ANY location. The drum part number is the same for ALL four colors. can put ANY drum, in ANY location, the TONER has to be the same. is about 1/4 the price of what they charge for color. charge out the ying-yang for the color supplies. mattfrompa, stewi0001 and Kotters like this. I'm in the offset lithography business and we have an HP Indigo 7600 machine on top of a conventional offset press. This digital machine has a monthly fee to operate, has a click charge per impression regardless if its a calibration print or a small dot, and all colors (cmyk+ovg) cost the same. At least for you black is cheaper, but we can interchange the ink tanks, BID bases , and BID drums, at the risk of ink contamination and miscalibration. In offset though, black ink is usually more expensive than one of C, M, or Y.
I remember a former colleague buying an Epson inkjet printer in 2004. The catch and what he was looking as a student back then was to be able to cheaply refuel them with ink. He bought the Epson brand new - and it was one of the cheapest printers in its class - he found out after he bought it why. It has a chip on the cartridge - so you can't just put ink in it and expect it to work. So he could not buy refill kits - he had to go to a local shop and pay more and also extra for that chip reset. To add insult to the injury, you need it to run from time to time a maintenance process to keep the nozzles in good shape. It used to take a lot of ink (up to 25%) because that chip was also counting how much ink you have left. I hate to ruin a good rant, and I can assure you that's not my intention. I also agree that when it comes to printer inks, every vendor pushing proprietary ink cartridges is in fact, ripping us off. Those things being said, color pigments actually do cost more than black. I worked in automotive refinishing, and the cheapest paint you could buy was pure black. In that arena, the base of the paint was usually referred to as, "the vehicle", or, "base". The stages of a complete refinishing, "kit", or, "system", needed to be chemically compatible with one another through the entire process. As a rough example, spraying a lacquer type system over an enamel paint, would result in the enamel being for all intents and purposes being removed. Lacquer products contain many of the same chemicals as paint remover. But the punchline is this, any color you might buy, had a different price, heavy maroon tint and other reds, were generally among the most expensive. The chemicals which make up certain pigments are more costly than others. As you might imagine, to maintain a consistent profit across the entire range of colors available, each and every color might vary a few cents in price. Epson though, has traditionally been extremely ruthless in the way it approached the photo printing markets. Epson's, "photo realistic printers" have IIRC as many a eight different color cartridges in them. You might have a light and dark cyan, and so forth. I tossed an Epson R-200, since all it seem to do was endlessly clean the print heads when first started. You would likely get at best a quarter of the rated number of pages from any given tank. Point being, if you wanted the number of pages claimed, better fire the machine up, and print them all at once, or all you'd have is ink dripping into the bottom of the machine every time you fired it up. I read the previous article about the HP fiasco.So, my Canon ran out of ink, and I had an HP laying upstairs for a few years. Well, when I hit the section of the software install which I needed to allow the turd to update, I just refused to install it. ...[ ]...In offset though, black ink is usually more expensive than one of C, M, or Y. 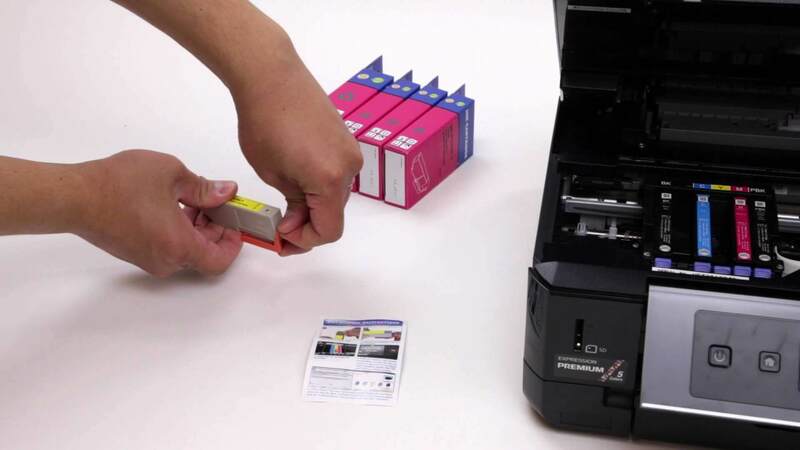 The black cartridge simply contains more ink, which is how they justify the extra cost. As pigments themselves go, I don't think that lampblack is at the top of the pigment cost food chain. This is why if I ever get a new printer, it will be one with ink reservoirs. No more ink cartridge bull. I remember a former colleague buying an Epson inkjet printer in 2004. The catch and what he was looking as a student back then was to be able to cheaply refuel them with ink. He bought the Epson brand new - and it was one of the cheapest printers in its class - he found out after he bought it why. Back in the early 2000's after Highschool I was a young and motivated top printer salesman for LEXMARK in CT and was sent to Boston for a few days as well. EPSON reps & managers were pi$$ed when I took apart their EPSON printers and showed how much ink they purposely left on the foam pad on the bottom of the printer. EPSON claimed every time it started it cleaned the heads and something about air pockets being remove. After me they ended up taking the foam sponge out of their printers on ALL demo's. They were pi$$ed and one district manager wanted to hire me from Lexmark. Many HP and EPSON workers quit because of me and some tried to fight me we were thrown out of BESTBUY a few times. Damn I was good. I used to sell $99 service plans on $100 AIO printers. Many small offices do this as well. As to being frugal, I think I could give your friend at least a run for his money, and then some. My tactic was to buy my "next printer", at Best Buy on Black Friday. While everybody was lining up for the the one super buy, (usually a desktop system, a laptop, or a big screen TV), I'd dash over to the half price printer pile, and drag my new $29.95 treasure out of the store ASAP. Oh sure, the checkout lines were usually a half city block long, which cut some, but not all, of the fun out of the experience. Anyway, the time before last, I got a Canon MP-560, which I kind of like. So, I managed to get two complete sets of color inks, (CMYK), and four of the larger black tanks for $14.95. (Newegg Market place vendor). The printer's never been allowed, (or even asked), to be updated, so I should be good to go. Canon doesn't have any scandals the likes of this topic hanging over them. As I'm dying of curiosity, I'll probably put the HP I pressed into service on hold for a while, then ink up the Canon. Both sets of drivers are still in the machine, so it should just be a simple matter of swapping the USB cord back to the Canon. Printer Driver EPSON PHOTO EX only for Win 98?